Just a few short months ago, Design Studio Interior Solutions owner Judy Goldman found herself facing a question many successful business owners do: The demand for their services was far exceeding their capacity for growth. In just 2 short years, Judy has transformed her local, Boulder-based interior design company into a nationally known brand, completing projects across the country from California to New York, Chicago, Philadelphia, Ohio, and Washington state, to name a few. As a result, their former— and much cozier— space located in Niwot, Colorado, was not permitting the team to work to their highest capacity. The space, though adequate, didn’t allow the designers to comfortably meet with clients, explore fabric, furniture and finishes, and preview their projects. Understanding that these limitations would only be solved with a larger space, Judy set out to create an environment that provided plenty of room for the clients, as well as the designers. 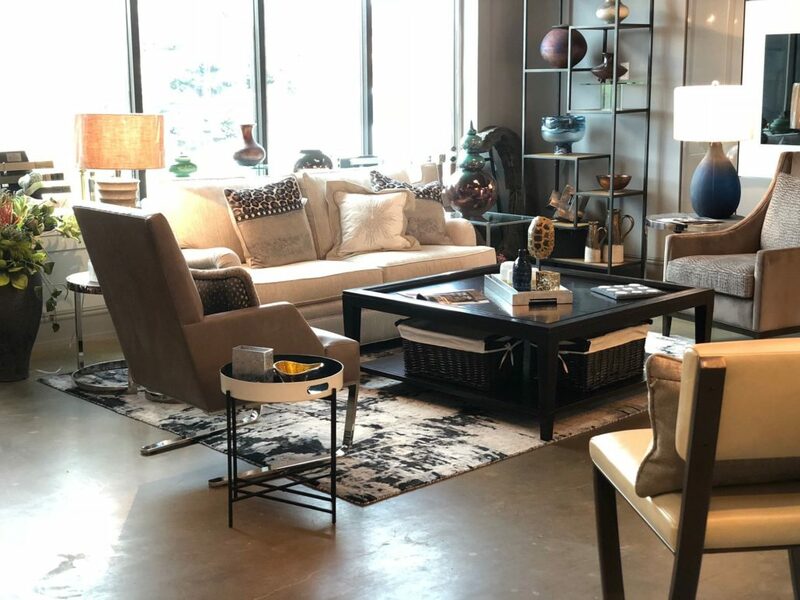 The solution: A Boulder-based, 6,000 square foot design center with soaring ceilings, ample space to showcase fabric, finishes, furniture and fixtures, that also acts as a testing ground for the firm’s commercial design department. The task of creating a new interior design headquarters from scratch took a lot of vision. The cavernous space was effectively a raw warehouse shell with concrete floors and soaring industrial ceilings. The challenge of turning the old warehouse into a warm and inviting design headquarters was thrilling to the designers who had an opportunity to use their skills in creative problem solving and space planning. Each aspect of the design is deliberate, and every nook and corner of the center is a display showcasing products, design concepts, color palettes and space planning solutions for both commercial and residential clients. From the enclosed offices and the spacious conference rooms, to the thoughtfully crafted kitchen, every area of the headquarters is a representation of the design team, and a reflection of Design Studio’s technical expertise. The new space has also become a hub of productivity, thanks to thoughtfully incorporated Dirtt systems including pre-fabricated walls, and embedded technology like televisions that vanish behind glass whiteboards. Each conference room features a selection of white boards, push pin walls, and large spacious conference tables. “Each of these elements increases productivity, but also becomes a launch pad for creative ideas. There is something powerful about putting ideas on display. Collaboration becomes seamless, we get next level design solutions, and the team can push each other’s creative boundaries,” says Goldman. Since the opening of the new space, Judy sees an even brighter and bolder future on Design Studio’s horizon. With ample space to learn, interact, and grow together, Judy envisions creating an environment for her designers that fosters a sense of community, and pushes them to provide extraordinary service to clients. What’s next for Design Studio? Aside from tackling a full roster of Summer projects, Judy plans to open the design headquarters for public events and education classes on everything from selecting paint colors and tile, to understanding how furniture is designed and made. Proceeds from these classes will be going to deserving local charities. Visit the new Design Studio Interior Solutions design center today to see the team in-action for yourself. The new headquarters, situated off of bustling Spine Road in Gunbarrel, just a short 10 minute drive from downtown Boulder.